Rossie O. Knight was a son of Sovin J. Knight and Ann Eliza Allen, and grew up on his parents’ farm near Rays Mill (now Ray City), before moving to Barney, GA. From 1917 to 1919 Rossie O. Knight served in some of the major European campaigns of World War I. He received the WWI Victory Medal with five battle clasps. But Rossie had enlisted in the service well prior to America’s entry into the Great War. In the years from 1913 to 1917, Rossie was engaged in America’s preparation for the coming conflict, in military service in the Coast Artillery Corps, and working to produce war matériel at the Nixon Nitration Works. 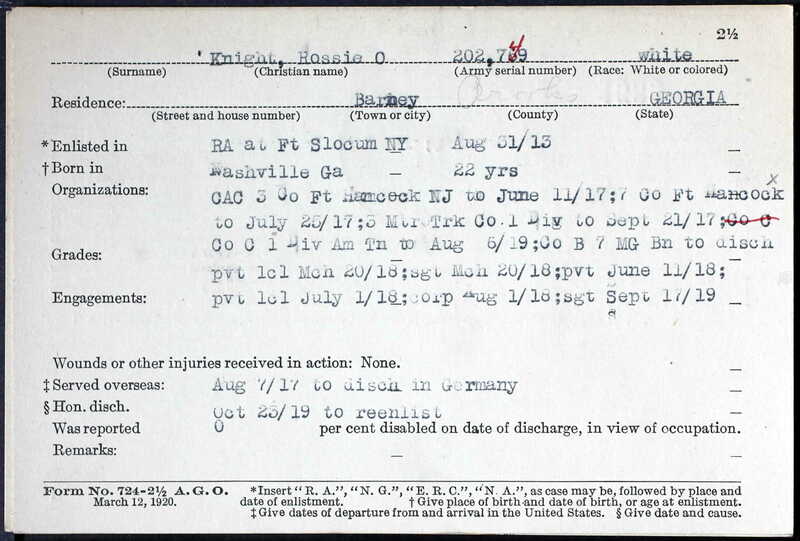 Rossie O. Knight’s service records show he enlisted at Fort Slocum, NY on August 31, 1913. Other Berrien county men who entered the service via Fort Slocum included Carter H. Exum and Charlie Turner, both of Nashville, GA who enlisted June 22, 1914. John S. Shaw, of Rays Mill, GA enlisted at Ft Slocum on August 5, 1914 and went to bakers and cooks school at Fort Sam Houston, TX. 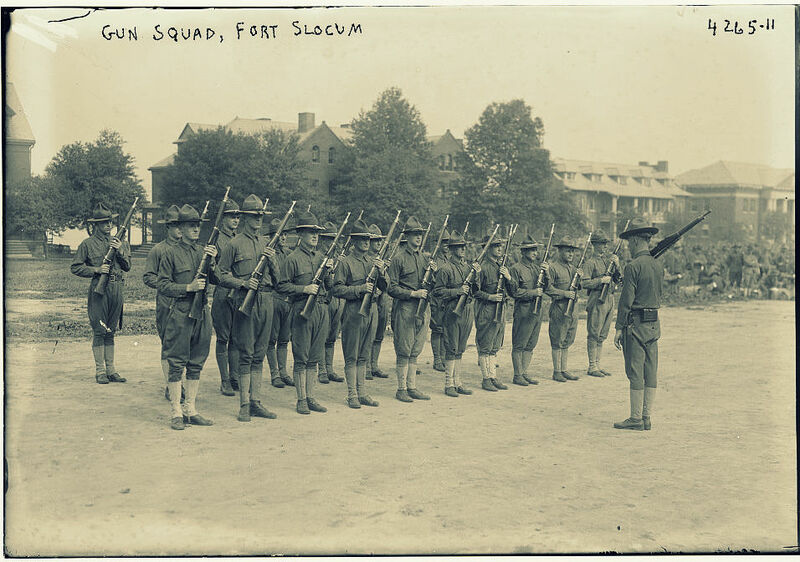 Gun squad at Fort Slocum, New York. Fort Slocum was a major induction point for the U.S. Army during WWI. 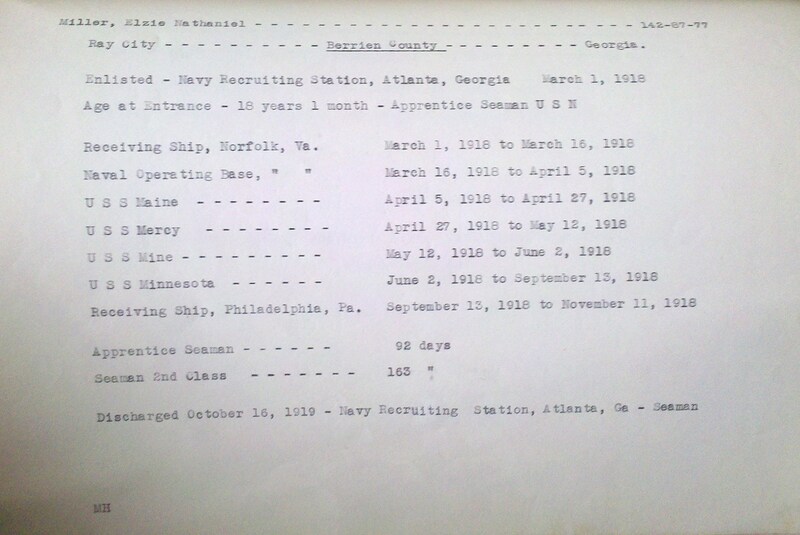 After training at Fort Slocum, Rossie O. Knight was assigned to Fort Hancock, NJ for duty with the Coast Artillery Corp, Third Company. Fort Hancock, situated on the island of Sandy Hook, was a coastal artillery base defending the Atlantic coast and the entrance to New York Harbor. Fort Hancock was operated in conjunction with the US Army’s Sandy Hook Proving Ground, where newly manufactured artillery was tested. 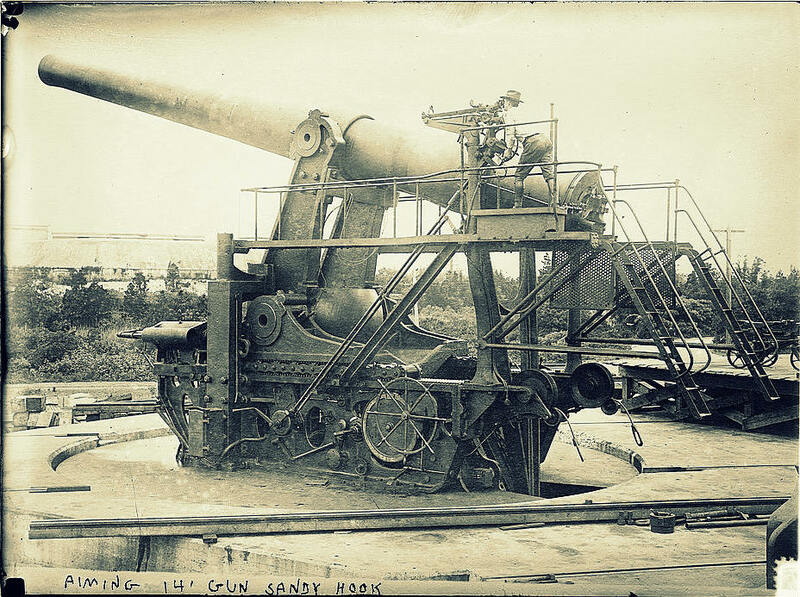 Aiming a 14 inch artillery gun at Sandy Hook, Fort Hancock, New Jersey. 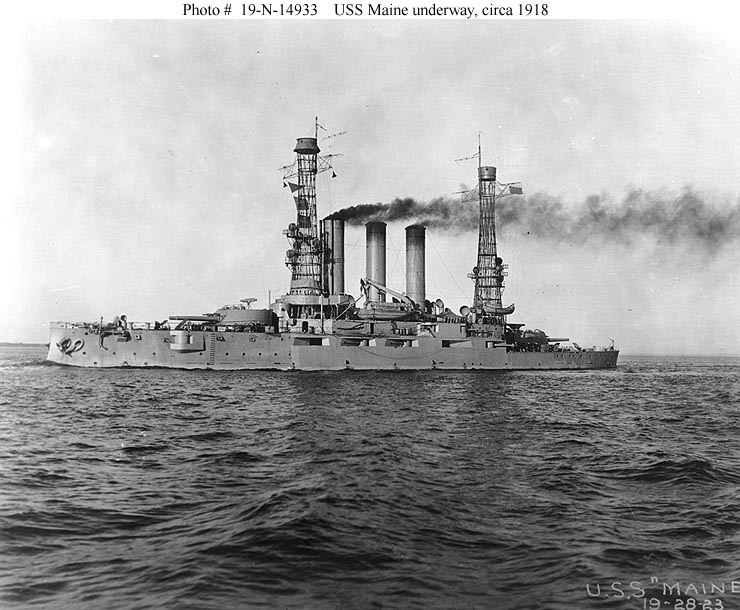 It was in 1914, when Rossie was stationed at Fort Hancock that hostilities broke out in Europe. Americans watched with interest, but President Wilson worked to keep the country out of the war; “While armies moved across the face of Europe, the United States remained neutral.” The United States attempted to continue trade and diplomatic relations amid the rising world conflict, but the production of artillery and war matériel in America became critically important to the belligerents. America was just coming out of the Recession of 1913-14, and the business leaders and industrialists began ramping up their companies to produce the needed supplies. Among these men was an industrialist and shipbuilder Lewis Nixon, who began construction of the Nixon Nitration Works to produce “gun cotton,”- for use in smokeless gunpowder. Americans were largely ambivalent about the war in Europe. But on May 7, 1915 a German submarine torpedoed and sunk the RMS Lusitania in route from New York to Liverpool, causing the death of 1,198 passengers and crew. 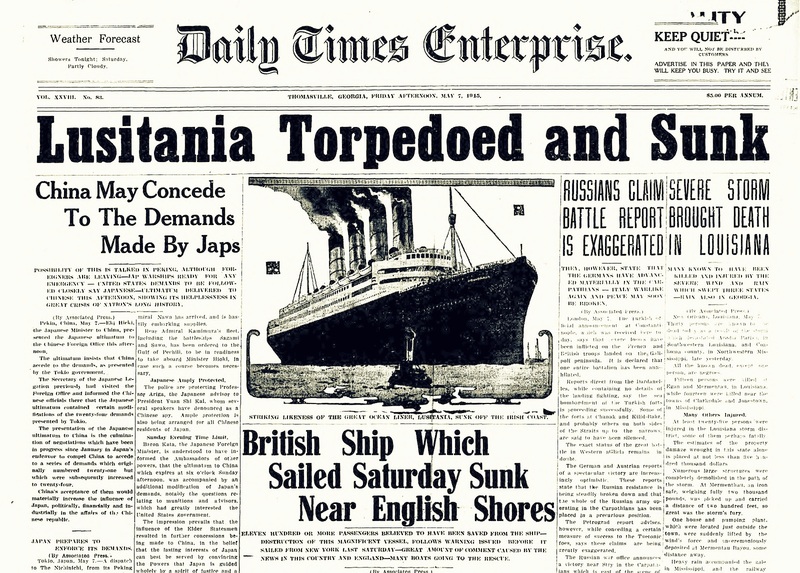 Reports of the sinking were emblazoned across newspaper headlines in the U.S. and caused a storm of protest, as 128 Americans were among the dead. On May 8th, the day after the sinking of the Lusitania, the Nixon Nitration Works began production of gunpowder. Lewis Nixon announced he would turn his full attention to the completion of the plant. 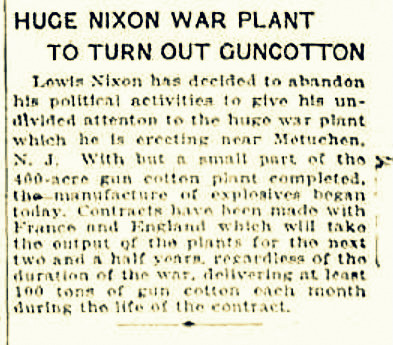 Lewis Nixon has decided to abandon his political activities to give his undivided attention to the huge war plant which he is erecting near Metuchen, N.J. With but a small part of the 400-acre gun cotton plant completed, the manufacture of explosives began today. Contracts have been made with France and England which will take the output of the plants for the next two and a half years, regardless of the duration of the war, delivering at least 100 tons of gun cotton each month during the life of the contract. Although men came from all over the nation to work in the Nixon Nitration Works, the company struggled to find enough workers for the massive gunpowder works. At one point labor relations were strained to the point of a strike. After two fires occurred the plant let go a number of foreign nationals who had been employed there, although Lewis Nixon denied that espionage was the cause of the blazes. Rossie O. Knight took a job at the Nixon Nitration Works in September, 1916 although his service record does not indicate any break in his enlistment. It appears that the U.S. Army was helping out with the labor shortage by placing soldiers on reserve status so they could be employed at the Nixon plant. According to the National Archives, Woodrow Wilson was elected for a second term as President on November 7, 1916 , “largely because of the slogan ‘He kept us out of war.’ Events in early 1917 would change that hope. In frustration over the effective British naval blockade, in February Germany broke its pledge to limit submarine warfare. In response to the breaking of the Sussex pledge, the United States severed diplomatic relations with Germany.” On top of the resumption of U-boat torpedoing of passenger ships came the revelation of German communiques with Mexico intimating the countries were conspiring for the invasion of the United States. Mexican-American relations had been tense since revolution broke out in Mexico in 1910, leading the U.S. to engage in several intrusions into Mexico’s internal affairs. The American Ambassador to Mexico was implicated in the 1913 coup in which General Victoriano Huerta assassinated the President and Vice President of Mexico and seized control of the government, throwing the country into violent civil war. Because of the civil disruption in Mexico, the U.S. began garrisoning troops along the border. At least two Ray City men served on the Mexican Border. Owen Leonard Clements was stationed with the 4th Field Artillery at Progreso, TX, and Owen Adrian Knight served in Company M, 23rd Infantry. 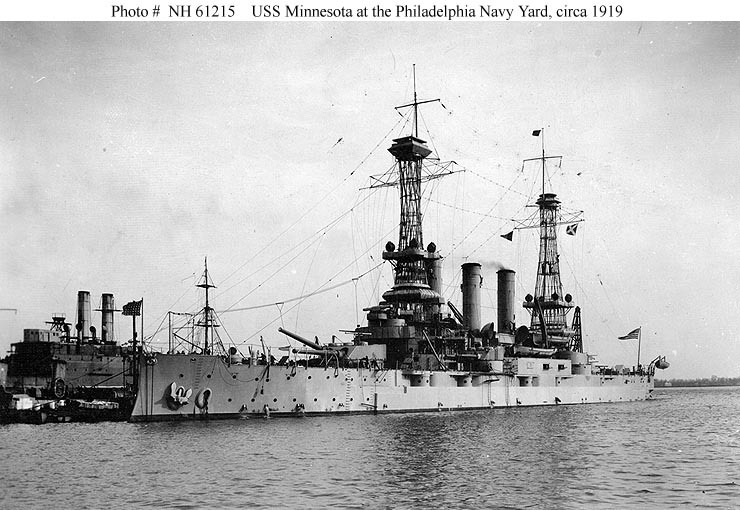 The U.S. Navy occupied Vera Cruz in 1914 to protect U.S. interests in the Tampico oil fields. There was a series of subsequent territorial encroachments on both sides of the border. In a comparatively trivial border incursion by U.S. troops in January 1916, Sergeant Clements was drowned while crossing the Rio Grand. Following Pancho Villa’s 1916 raids into New Mexico, the U.S. Army launched the Mexican Punitive Expedition, led by General John Pershing, in a futile attempt to track down the Mexican rebel. “In January of 1917, British cryptographers deciphered a telegram from German Foreign Minister Arthur Zimmermann to the German Minister to Mexico, Heinrich von Eckhardt, offering United States territory to Mexico in return for joining the German cause. ” News of the Zimmermann Telegram was published in the American press on March 1, 1917. T.L.). The letter was written on March 28, 1917 from New Brunswick, NJ, while Rossie was working at the Nixon Nitration Works. It expresses Rossie’s anticipation that the United States would declare war on Germany, and that he would be called back into active duty. 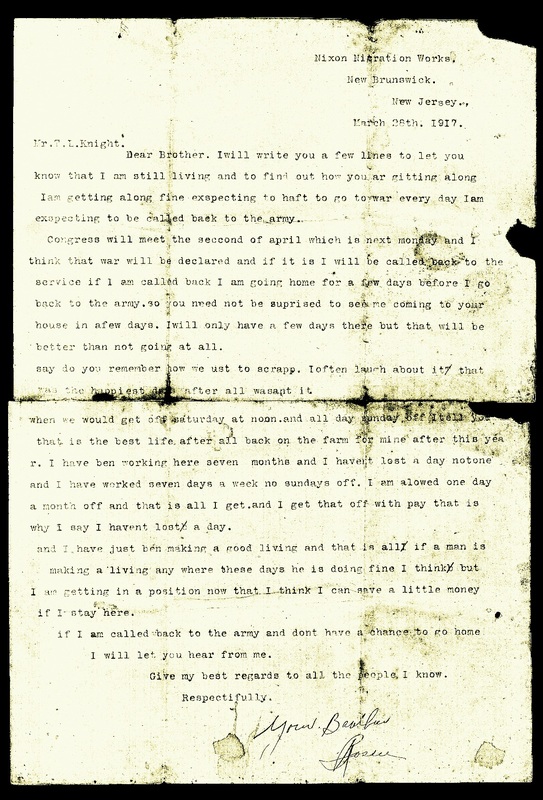 Letter of March 28, 1917 from Rossie O. Knight to his brother Leland Thomas Knight. Image courtesy of Bryan Shaw. exspecting to be called back to the army. better than not going at all. was the happiest days after all wasant it. why I say I havent lost a day. I will let you hear from me. Give my best regards to all the people I know. Rossie O. Knight was correct in his predictions. On April 6, 1917, the United States Congress formally declared war on Germany and its allies. 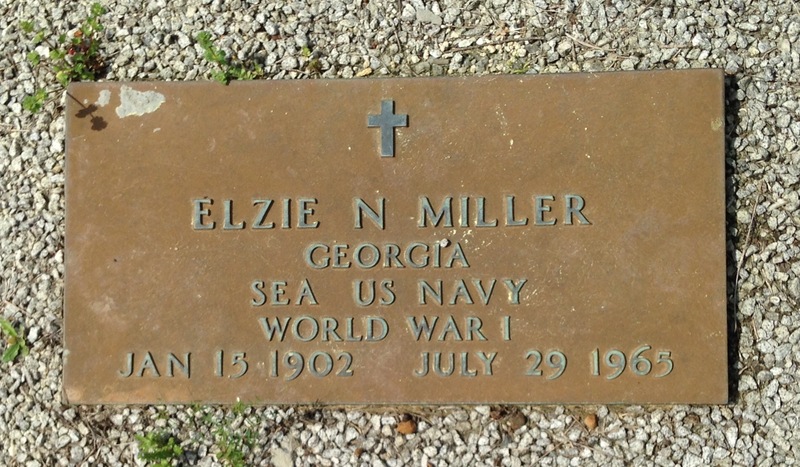 By August 7, 1917 he was serving overseas with the U.S. First Division . The Nixon Nitration Works continued to produce war matériel, throughout the war. The Nixon Nitration Works which included a number of plants, covered about 12 square miles on the Raritan River, near New Brunswick, in what was then officially known as Raritan Township (later changed to Edison) and unofficially known as Nixon, New Jersey. The company manufactured some two hundred million pounds of smokeless powder for the Allies and the United States Government during WWI. As a collateral activity, it manufactured military pyrotechnics for the army and navy and at the armistice was the largest single producer of such pyrotechnics in the United States. With the coming of peace, the company converted to manufacturing plastic materials of the cellulose derivative type. Nitrocellulose was a highly flammable plastic used to make film and x-rays, among other things. One of the buildings at the Nixon Nitration Works was leased to the Ammonite Company, which disassembled artillery shells and reprocessed the gunpowder contents into fertilizer. On Saturday morning, March 1, 1924, an explosion destroyed the Ammonite building. The 11:15 a.m. explosion touched off fires in surrounding buildings in the Nixon Nitration Works that contained other highly flammable nitrocellulose materials. The disaster killed twenty persons, destroyed forty buildings, and demolished the industrial town of Nixon, New Jersey. Special thanks to Bryan Shaw for contributions of content and images. 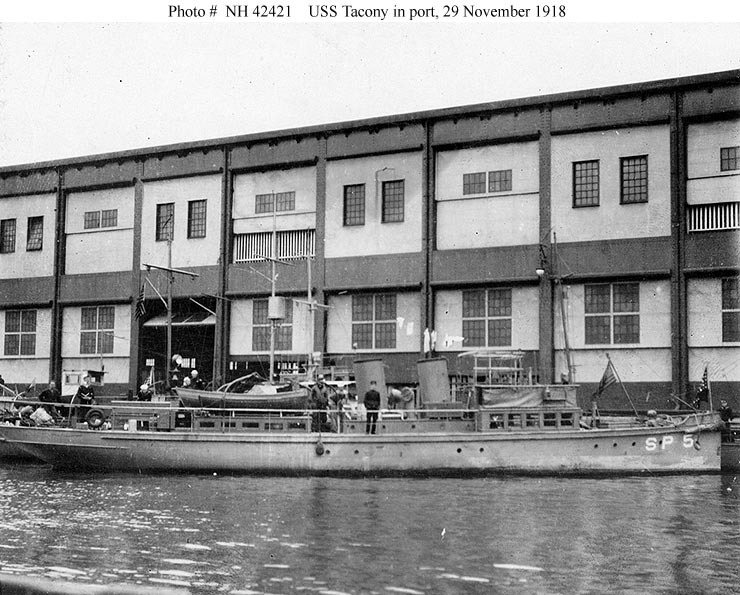 It was on this date, October 11, 1918 that the first reports of the sinking of the troopship Otranto were reaching the U.S. Berrien County, Georgia and Ray City would pay a heavy toll in the disaster. 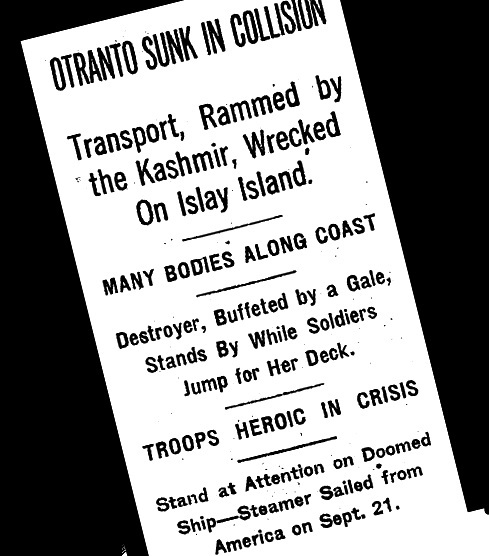 BELFAST, Oct 11.–A grave collision in the North Channel, between the Irish and Scottish coasts, has involved the loss of the American transport steamer Otranto and many lives of soldiers, officers, and crew. The vessel with which the Otranto collided was the Kashmir of the P. and O. Line. So far as could be gleaned at this time, the Kashmir’s wireless and other gear had broken down, and, becoming unmanageable, she crashed into the Otranto with appalling effect. Splendid discipline was maintained, but in the terribly wild weather that prevailed with very high seas, the task of rescue was attended with the utmost difficulty and danger, and a number of boats immediately swamped and their occupants drowned. It has been roughly estimated that several hundred men of all ranks and ratings lost their lives, but this calculation is very indefinite, as complete details are not to hand regarding the fate of those on the colliding ships. 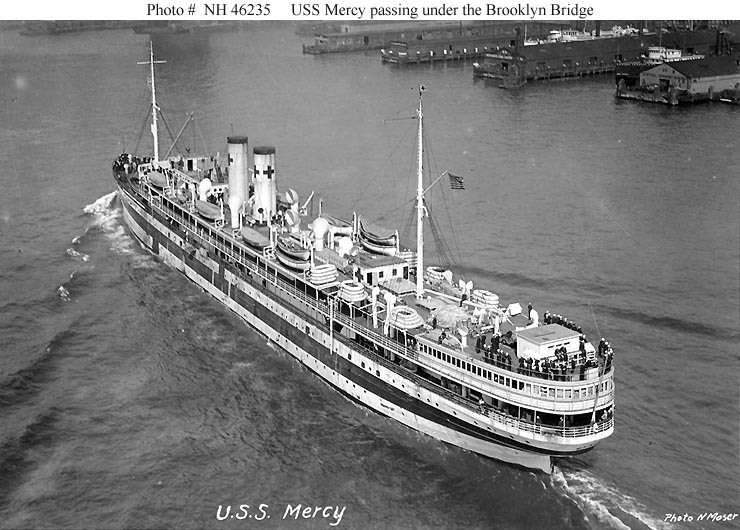 About 400 survivors, many injured more or less seriously and all suffering from the effects of immersion and exposure, arrived at Ulster harbor on Sunday morning. Large numbers of missing men are believed to have been afloat, and they may have been picked up and taken to other ports. Although it would be months before the names of all the dead were confirmed, ultimately 25 Berrien County soldiers lost their lives. Gordon Williams was a casualty of WWI. The caption in this memorial photo incorrectly gave his home as Bay City instead of Ray City. 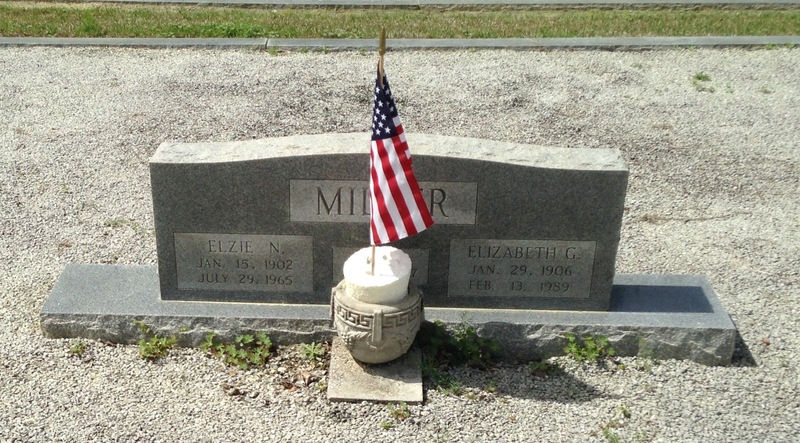 Gordon Williams was among the Ray City residents who served in World War I. 1.532 Named in New Army Lists Include 733 Dead and 416 Wounded. WASHINGTON, Nov. 16.–The War Department gave out two army casualty lists today, which contained 1,532 names, bringing the total for the arm up to 76,226. No Marine Corps list was issued, but the total previously reported for that branch was 4, 026, bring the total for both arms of he service up to 80,252. The army lists issued today contained the names of 386 killed in action, 231 died of wounds, 15 died of accident, 210 wounded to a degree undetermined, 108 slightly wounded, and 383 missing. WILLIAMS, GORDON was listed as (DD) – Died of Disease. His next of kin was listed as J.C. Williams, Ray City. It would be more than three years before his body was returned home.